...viewed from the top of our lane. @shannejw It's been blowing a hooley all day but the wind dropped with the sun - as is often the case here. 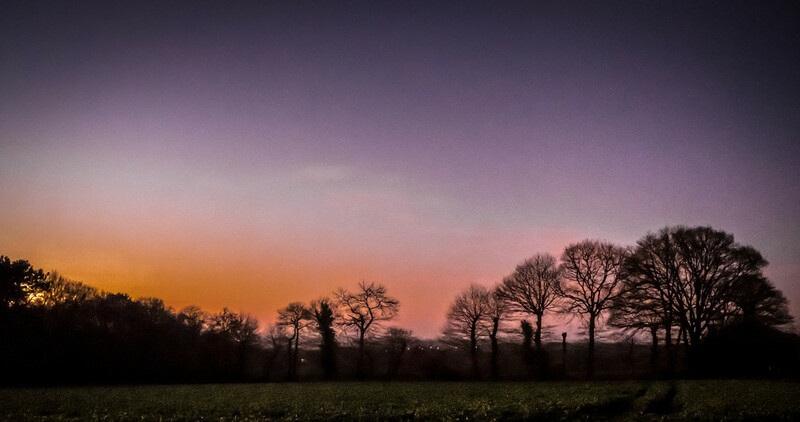 Love the silhouettes the trees create against the colorful sunset. Gorgeous colors and clear sky. Great shot, Richard I react as soon as possible, very busy weekend. Really lovely. Love the peak at the sun.